After a false start which was characterised by the catch phrase “The New Dispensation!” coming along with fresh cabinet faces, many Zimbabweans believed Mugabe’s ghost had finally left us. However, it is only a few months after the general election and the Zimbabwean economy is again teetering on the brink of collapse. Mnangagwa’s government has made several sojourns across the globe trying to woo international investors but apart from their usual promises, it seems no investor is coming to Zimbabwe. Mnangagwa and his government have simply reached a cul de sac. Apparently, no one in Mnangagwa’s government appears to have sufficient leadership skills or any technical expertise to steer the country through the current economic quagmire. The plight of fuel shortages keeps haunting Zimbabweans week in and week out despite false government assurances. No one in the new government appears to have sufficient courage to clean up the corruption embedded in the fuel supply chain. Consequently, prices of goods and services keep sky rocketing due to increasing fuel costs and uncertainty of future supplies. Fuel shortages appear to be engineered by a racket of corrupt profiteers who run a monopoly somewhere along the fuel supply chain. As if this is not enough, the new finance minister has foolishly slapped more fuel taxes in his recent budget. President Mnangagwa appears more proactive and energised when it comes to foreign trips where he charters private expensive jets from Europe even when just for travelling to a neighbouring african country. He is also keen on splashing tax payers’ money on new government cars and making inconsequential senior government appointments which altogether is overburdening an already cash strapped government purse. 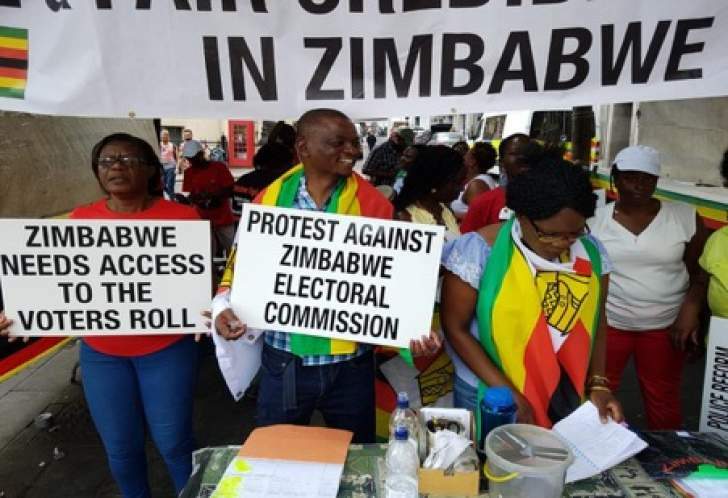 Most of the loss-making government parastatals such as Air Zimbabwe, GMB, ZBC, Zimpapers and National Railways should have been and must now be privatised. The eye-popping salaries and perks of their CEOs and senior managers are surprisingly not performance related as these government companies are always recording losses and perennially falling over each other to draw on government bail outs. The same can also be said about city council executives who are mostly focused on salaries and buying themselves expensive cars while their town councils do not have any single garbage lorry. One would have thought when Mnangagwa stepped in, he was going to confront such government malpractices. Mnangagwa’s government is hopelessly clinging onto a currency called bond notes which have long lost its value and has now become a daily infliction to ordinary Zimbabwean and an irritant to the new finance minister. Evidently, the new finance minister, an economic professor per se, is now playing catch and mouse trying to align bond notes and US dollars to the same value. He is now like a dog chasing its tail. If African presidents and ministers had the courtesy to step down and acknowledge failure, surely this would be the time for Mr Mnangagwa and his ministers to respectfully step down.